Towards the end of the school semester, our gallery space was left empty. A lull in the exhibit season left the student body with an opportunity to use the space for our own devices. 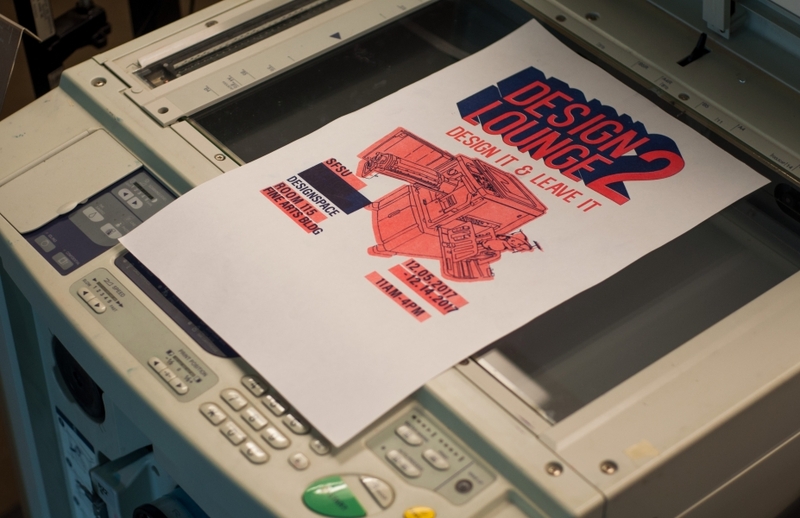 DESIGN LOUNGE II was born. Assigned the task of designing and implementing a design exhibit, the Risograph was chosen as the medium in which to share, collaborate, explore, and express ourselves. Using collage, printed media, button making, and the red and blue soy based Riso drums (the only colors we had) I have selected various works that I have created. Implementing an end of the year impromptu show, the design department of San Francisco State University came together to create.